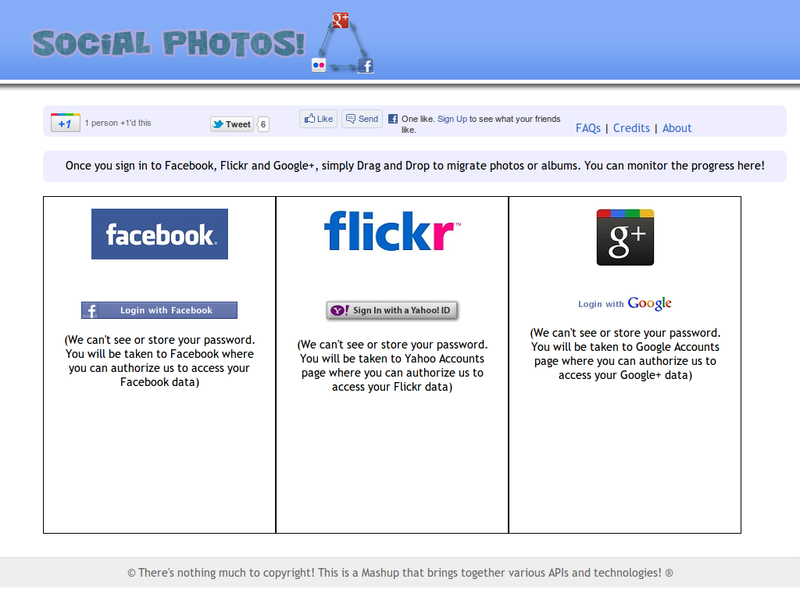 Je L'ai Dit: Social Photos - Move photos between Google+, Flickr and Facebook! 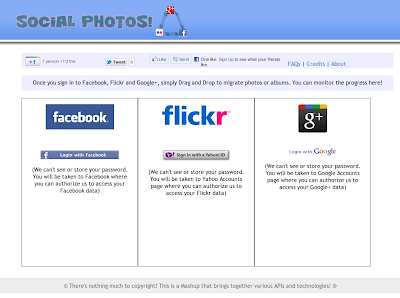 Social Photos - Move photos between Google+, Flickr and Facebook! 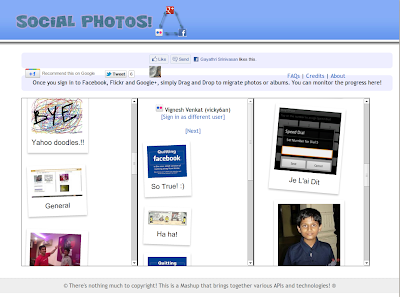 A spin off project from my earlier Orkut Deja Vu. This cool web app lets you transfer photos between Google+, Facebook and Flickr using an intuitive drag and drop interface. DOMCA - Days of my lives!